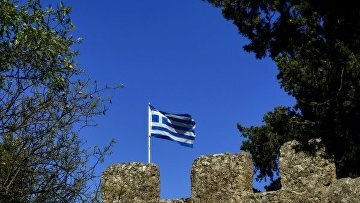 Russian and Greek ombudsmen sign cooperation treaty | Russian Legal Information Agency (RAPSI). MOSCOW, November 8 (RAPSI) – Russia’s Commissioner for Human Rights Tatyana Moskalkova and her Greek colleague Andreas Pottakis on Thursday signed a treaty on cooperation, RAPSI reports from the International Conference of Ombudsmen held in Moscow. The agreement would allow the parties to mutually use data banks of each other and directly request provision of assistance to people, bypassing bureaucratic systems, Moskalkova said after the treaty signing. The ombudsmen believe that the agreement will help raise guarantees of the citizens’ rights to a new level.